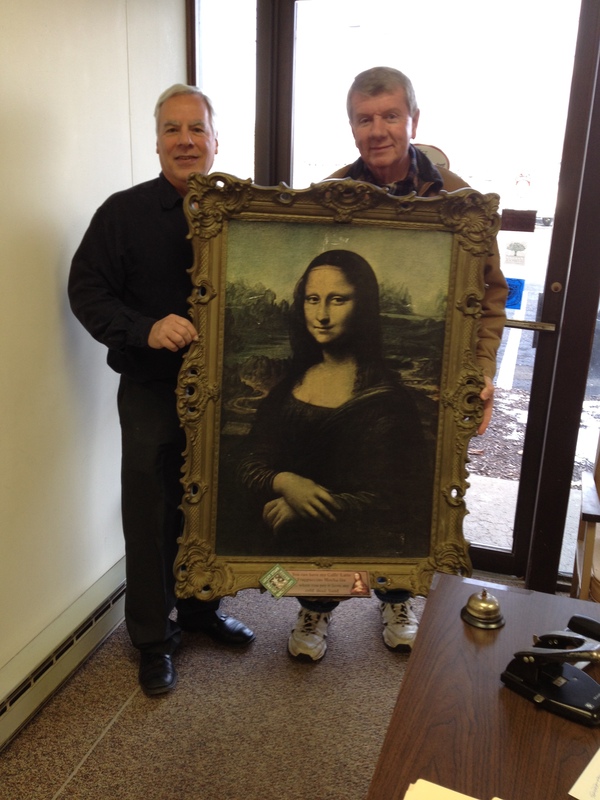 A Visit from the Mona Lisa – Ross, Stepien & Kadey, Inc.
We were honored to receive a visit from the “Mona Lisa” today! Thank you to our client Tom Barry (pictured right) for a view of his “one-of-a-kind” masterpiece. Many “Thanks” to Ron for allowing MONA to visit the civilized-world after her long stay in our garage, my Man Cave and even much longer stay/”sentence” in the Black Lake “ROSE-ROOM” – – Whew !!!! !